The Federal Reserve has four meetings left before Janet Yellen's four-year term as chair ends in February. One is this week. Her to-do list is full: A possible third rate hike in 2017. Restoring the Fed's giant, $4.5 trillion portfolio of bonds and other assets, still bloated from the financial crisis, to normal levels. And there's the political item: Will President Trump reappoint her? That will all be on display Wednesday when the Fed's policy committee announces its next moves and Yellen holds a press conference. 1. Will Janet Yellen stay or go? Yellen has politely dodged questions about whether she would stay for a second term, if renominated. "I really haven't had to give further thought at this point to this question," she told House lawmakers in July. You can bet that Yellen, whom former President Barack Obama appointed as the first woman to lead the Federal Reserve, will be asked by reporters on Wednesday. The question gained added importance since the Fed's No. 2, Stanley Fischer, announced this month that he will resign on October 13. That news means Trump has the chance to fill the Fed's top two jobs. During the campaign, Trump condemned Yellen as a puppet for Obama. Trump has more recently suggested he'd consider rehiring Yellen for another term, saying she's "done a good job." It would be highly unusual if he didn't reappoint her: Most presidents keep Fed chairs for an additional term. 2. Is another rate hike coming? Most economists don't expect the Fed to raise interest rates on Wednesday. It has raised rates three times since last December, twice this year. Central bankers are in a bind. It's their job to shift policy levers, nudging interest rates higher and lower, to boost jobs and keep prices, or inflation, at the optimal level. That means not too high, and not too low. Inflation affects prices -- milk, train tickets, everything. It has been stubbornly low for years. And low inflation can hurt the economy: Businesses get queasy about investing in people and equipment. If prices don't rise, wages don't either. The problem is that interest rates, which the Fed influences through its federal funds rate, remain low even though jobs recovered years ago. The funds rate effects what people pay on things like mortgages and credit cards. Lower rates promote growth. In other words, inflation is signaling that the Fed should not increase rates. But economic growth and low unemployment of 4.4% are saying it should. "We previously expected the Fed to hike interest rates again in December, but the continuing weakness in core inflation had left the chances of a move before year-end as little more than a coin toss and other recent developments have all but killed the possibility," Capital Economics wrote in a recent note. The other reason the Fed may not raise its fed funds rate this week: Hurricanes Harvey and Irma are expected to ding the U.S. economy in the short-term. 3. When will the Fed start getting its portfolio back to normal? The other policy decision on Yellen's agenda involves the Fed's so-called balance sheet. That's the enormous amount of debt -- mostly Treasury bonds and securities backed by mortgages -- it racked up during the financial crisis. The central bank effectively lent trillions of dollars to the government to spur the economy and make it cheaper for everyone to borrow. And now it's time for the Fed to begin selling that debt. Several Fed officials have signaled the central bank could take a first step in selling off its bonds and other investments starting next month. An announcement that the Fed will start unwinding its debt would mark yet another milestone in an economic recovery now in its ninth year. 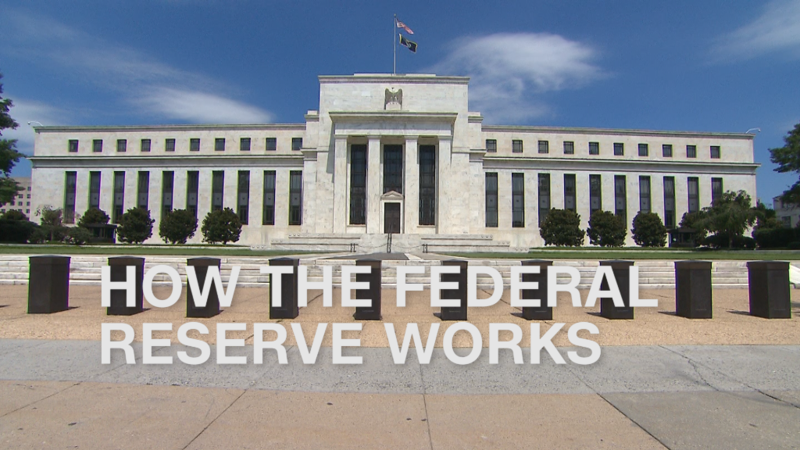 "The [Fed] has been preparing the markets for balance sheet normalization for a long time," Seth Carpenter, an economist with UBS wrote in an analyst note.